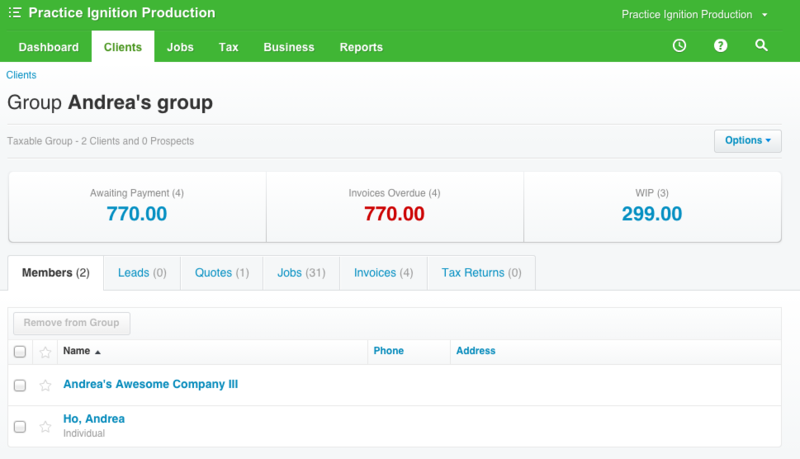 Group mode is only available for users who have a Workflow Max or Xero Practice Manager account synced. Groups are automatically populated in Practice Ignition and cannot be created manually. You will need to make sure that the entities are all linked to the same group in your WFM/XPM account. 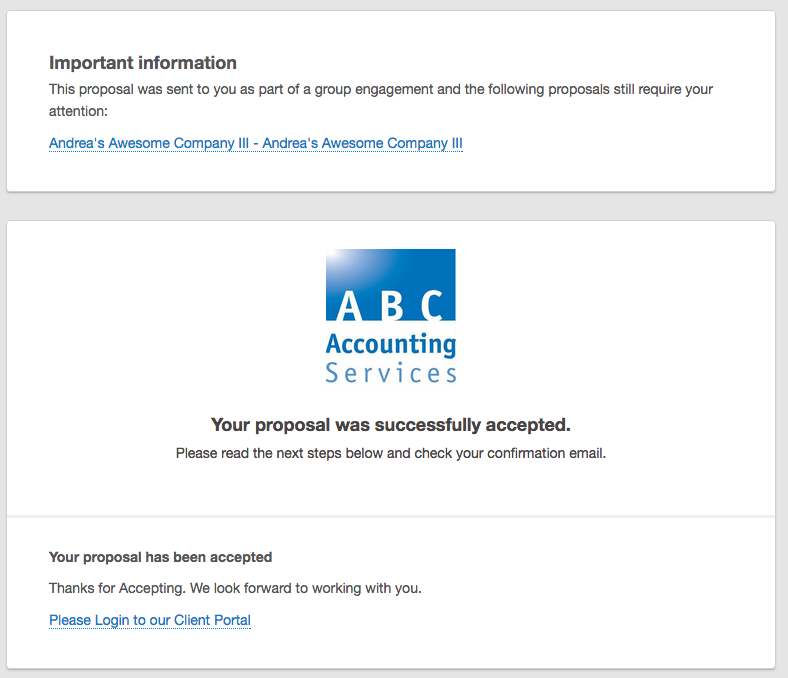 IMPORTANT NOTE: YOU MUST HAVE YOUR ENTITIES GROUPED BY OWNERSHIP FOR GROUP PROPOSAL SENDING TO WORK. XPM suggests that you can group clients by ownership, industry, location or some other factor that works for your practice. Please ensure that you are only grouping by ownership. If you have grouped by any other method (such as business type or industry), please contact a Customer Success Manager ([email protected]) before you initiate a group proposal. Find out more about that on the Xero Practice Manager website here. If you have only just added them to groups in XPM, you may need to do a sync in your Practice Ignition account to pull the data in. From here you can view and change the default email for the group. This is the email address that the new proposal email will be sent to for acceptance. You'll need to make a proposal for each entity in the group, then you can send them using our Group Send mode which means rather than sending one email for each proposal, it will send one email to the Group Contact email with links for them to accept all the proposals for the group. Once you have created draft proposals for all the entities in the group that you are sending out, select them from the draft section by putting a tick/check on them. After selecting the proposals you want to send, you will need to click Bulk Actions and choose Mark for Review. This will take you through each proposal for approval before adding them to the In Review list, approved for sending. Make sure you click the Mark for Review button on the bottom right after you have reviewed it. Now when you to go the In Review section, you can select them all then select Bulk Actions and choose Send Selected. This will open a slider from the right-hand side which gives you the option of sending it in Group mode or Single mode. Choosing group mode will result in one email being sent to the default email address for the Group with a link to all proposals. When your client clicks on the first proposal, they will be taken to the client acceptance page to accept. After accepting this proposal, they will be prompted to accept any other unaccepted proposals in the group. If they accidentally close this link, they can come back at any time by clicking on the links to the proposals in the email. If you want all the entities in the group to be invoiced through one entity rather than each individual entity, you will need to map each entity in Practice Ignition to the group entity in Xero. 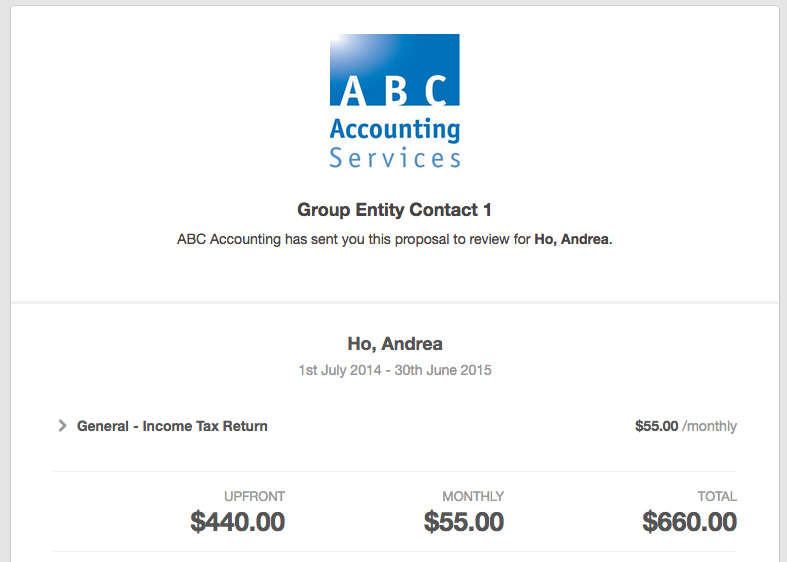 This can also be done after the proposal has been accepted, but any invoices already created will have to be manually changed in Xero. See our article here on mapping entities. For information on creating proposals, click here. For information on sending proposals for single entities, click here.